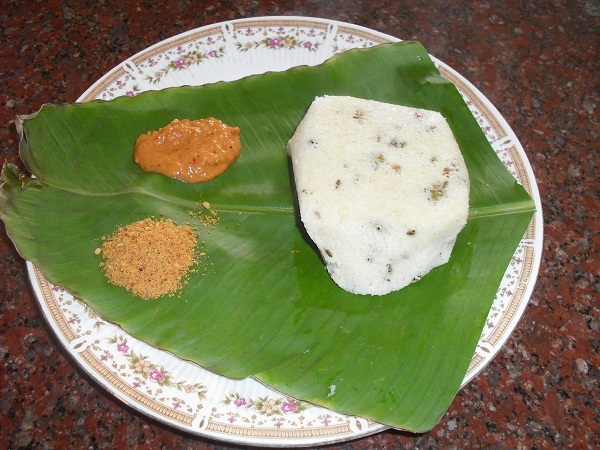 Kancheepuram idly is specially prepared as an offering to Lord Varadaraja Perumal at the Kancheepuram temple. The spiced up idly batter is steamed in baskets ( kudalai ), hence it is also known as KUDALAI IDLY. 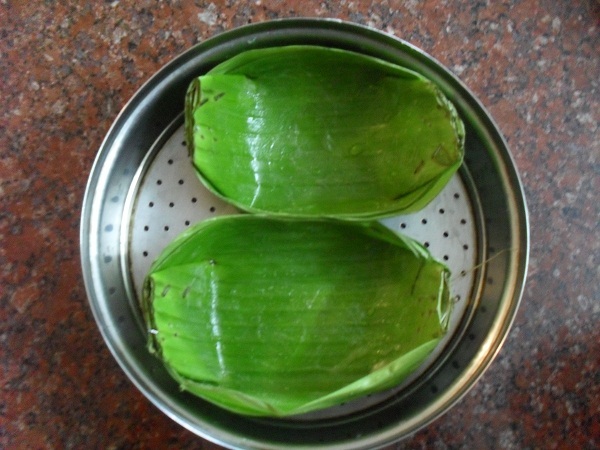 Steaming the batter in banana leaf cups ( donnai ) adds an extraordinary flavour to Kancheepuram idlies. I requested our family priest to make a couple of dannais during one of his visits and steamed my Kancheepuram idlies in them. 1. Wash and soak black gram dal, green gram dal, beaten rice and feugreek seeds for one hour. 2. Wash and drain the idly rava and keep aside. 3. Grind the soaked lentil mixture till it becomes smooth and fluffy. 4. Add the drained idly rava and grind for two more minutes. 5. Blend the salt and sugar into the ground batter. 6. Store in a big container with a lid and leave it overnight for fermenting. The batter will rise to twice its volume after fermentation. 1. Heat oil in a pan and add crushed black pepper and fry till it emanates a pleasant aroma. 2. Next add the cumin seeds. 3. Add bengal gram dal and fry till it is golden in colour. 4. Add chopped green chillies and fresh ginger. 5. Finally add curry leaves and pour the seasoning into the idly batter, and mix well. ( cashew nuts or fresh coconut pieces can also be added to the seasoning). 6. 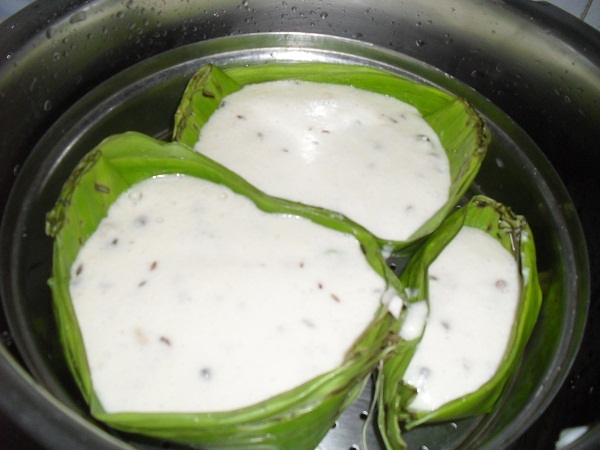 Grease the banana leaf cups with ghee and fill the cups with the seasoned batter. 7. Place the batter filled donnais on the idly plates and steam for 15 minutes in a pressure cooker without the weight. Peel out the Kancheepuram idlies from the donnais and serve them hot with chutney, molaga podi or onion sambar. 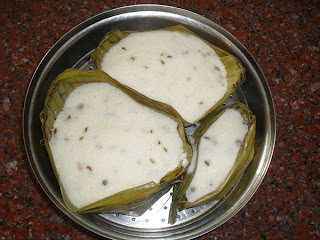 These idlies can also be cooked directly on the idly plates, just like the normal idlies. But lining the idly plates with greased banana leaf strips will impart the special aroma to the Kancheepuram idlies. Sending this to Breakfast Mela on Srivalli's Blog! Happy Blog Birthday to Srivalli! Been ages i had kancheepuram idly, inviting.. Very inviting idlies....I haven't got a chance to taste these delicious idlies. I think its high time I make it myself. Looks sumptuous ! Idly with onion sambhar is droolworthy ! traditional dish wow...I've not tasted this yet, thanks for the recipe. Hi Dibs, I follow your blog regularly, but first time leaving a comment. 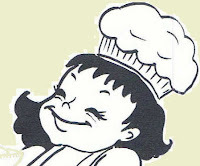 You have a wonderful blog with lovely recipes and I enjoy each and every post. I love your conventional way of cooking and the gadgets u use. The idlis are lovely and I,m reminded of the shetty kadai idlis of Bangalore! Brilliant idea of steaming in dhonnai.. I made them for today's breakfast and it was yumm. We all liked it. Thanks for the recipe, will post the picture soon. Thanks for the recipe. I tried it and we all loved Kancheepuram Idlis. 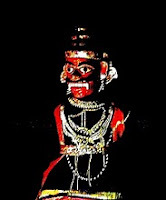 I have posted it on my blog.